3M ePrivacy Filter Software Solutions, Reviews, how to use and all you need to know - Over the past years till date, more ways of stealing people's data are been used. Some of the techniques Hackers and Spies can use to hack your accounts are - Trojans/backdoors, Drawbacks, Keylogging, Social Engineering and so on. These techniques requires them to install the malicious apps on your system just before you begin to use that system.But what if you don't allow them and because of that you feel your computer is very safe, guess what? You could still get knocked off through Visual Hacking. This is yet another method which Thieves, spies and/or hackers can still use against you, without laying hands on your Computer. Visual Hacking involves cyber-criminals or intruders peeping over your shoulder while you’re working on your computers or mobile devices. Sometimes they don't need to be near you, spies can go as far as using Binoculars, powerful smartphones and quality camera devices to invade, collect and use whatever information displaying on your screen. Many cases found is when you go to cyber-cafes, schools, airports, offices, inside buses and trains.You might focus on your computer or mobile device, chatting or something, not knowing someone behind you is peeping into your privacy, visual hackers can infiltrate you, from the outside-in. A lot of employees have had their Confidential data stolen by visual hacking, complaints have been made but later realising this had happened when their devices got hacked at a Glance, visually. PROTECTING YOURSELF FROM VISUAL HACKERS & INTRUDERS. - You trying to block or hide what you're doing with your hands or an object, this can reduce the risk but is not a practical thing to do in public. These suggestions seem okay, but we know are not so efficient, this is why the perfect protection for yourself and your data from Passer-byes, who could be Visual Hackers had been provided by 3M™ ePrivacy Filter Software, the application works hand-in-hand with the Standard 3M Privacy Software. 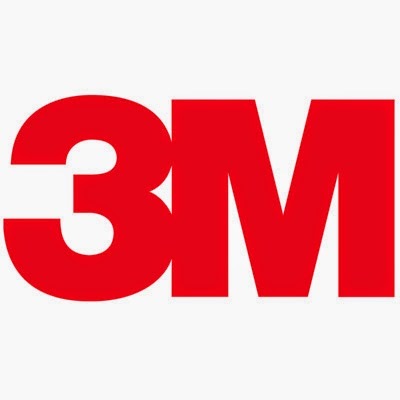 HOW DOES 3M™ ePRIVACY FILTER SOFTWARE PROTECT YOU? -Using the computer’s webcam, 3M™ ePrivacy Filter Software learns the user’s face through facial recognition software. -The facial recognition feature is designed to reveal the screen ONLY for the authorized user. -When an eavesdropper from behind is detected the user is alerted with a pop-up of intruders face. -The screen also blurs when YOU, the user looks away or steps away, cool right?. - And when the software is combined with a 3M™ Privacy Filter (the physical filter), a true 180-degree visual privacy is possible. - Download Requirements: Windows® XP (or higher) and a Webcam. Not compatible with Mac OS for now. Whether you feel Visual Hackers are near or not, We believe this is a very useful Software that gives you the perfect privacy and comfort especially in public & busy places where you need to use your computer, the software is worth keeping in your PC for life.